SOEL Searching for the Essentials in Action! 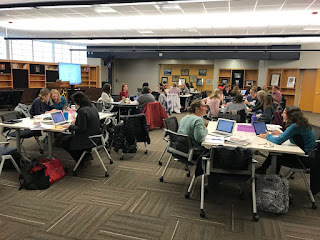 The November meetings of the Study of Early Literacy (SOEL) network were hosted by elementary schools in our community. 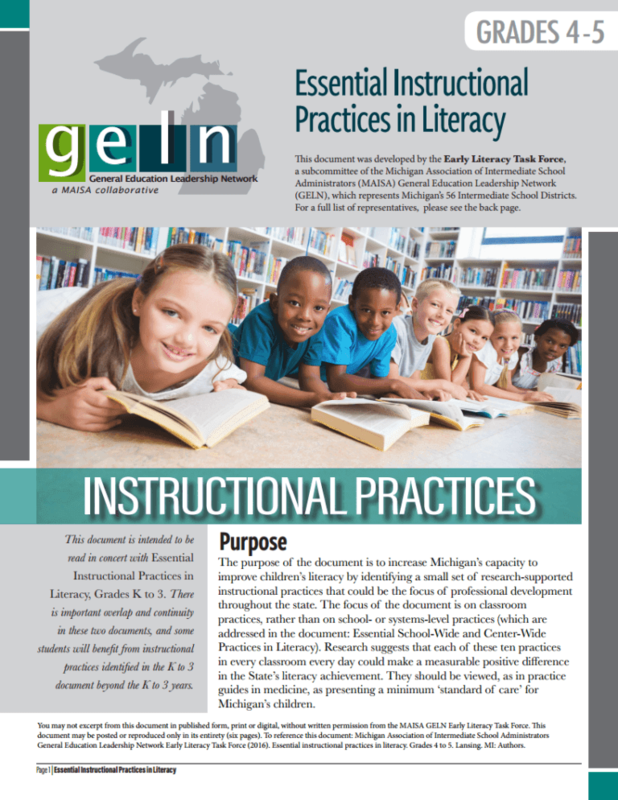 We only need to look to our local schools to see exemplary literacy practices in action! 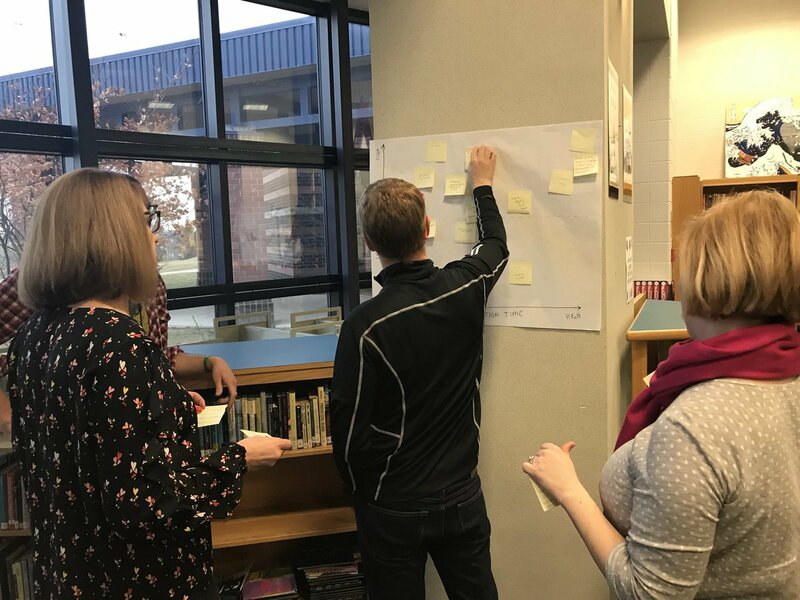 Ann Arbor Northside STEAM hosted our November 7th meeting of SOEL 1- Equity, Engagement and Motivation in Literacy to look at prime examples of Essential #1- Deliberate, research informed efforts to foster literacy motivation and engagement within and across lessons. In our brief observations across several classrooms, we saw an abundance of bullet #2- provides daily opportunities for children to make choices in their reading and writing in what children read, where in the classroom they read it, how they read it, and their reading partners. 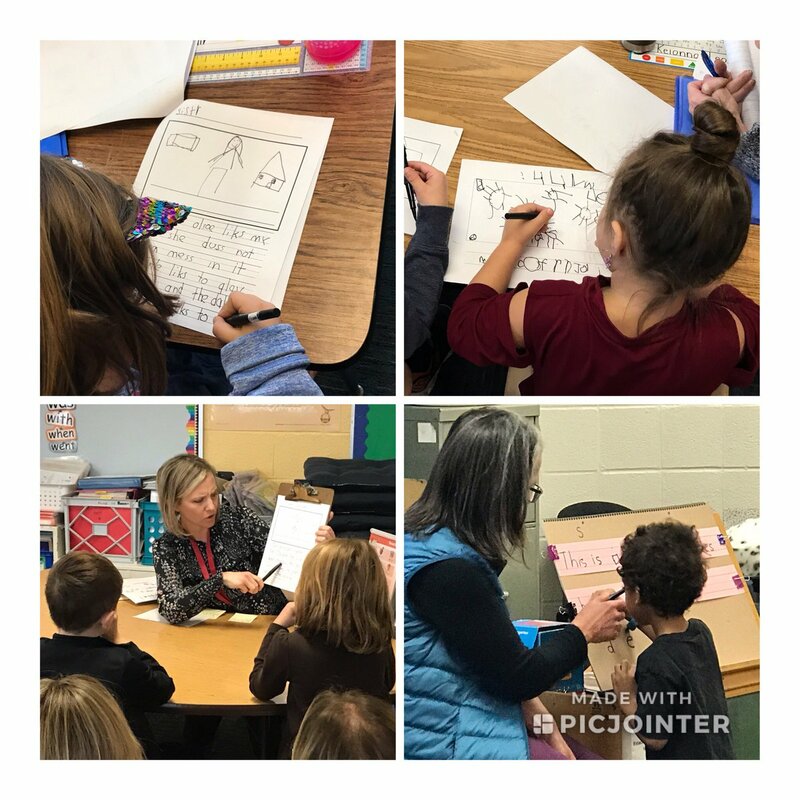 Thanks to SOEL member Brooke Stidham and teachers at Northside STEAM for our day! 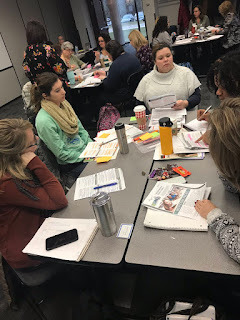 SOEL 2- Reading Instruction in Early Literacy met November 14th at EMU during the Responsive Teaching Institute hosted by the AI Team of WISD. 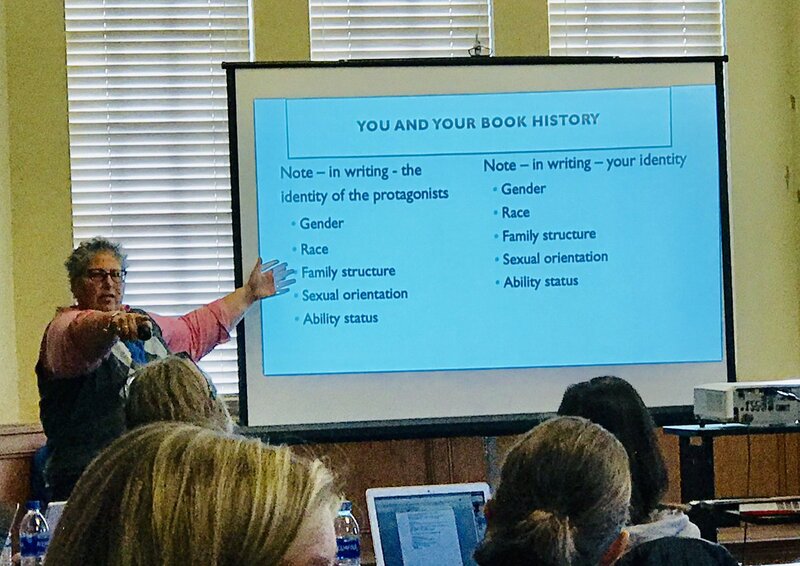 Presentations by Dr. Ernest Morrell and Dr. Laura Jimenez (two of five speakers) highlighted the importance of culturally relevant literacy practices, connected to Essential #8- Abundant reading material and reading opportunities in the classroom, bullet 2, books and other materials connected to children's interests and that reflect children's backgrounds and cultural experiences. See Dr. Morrell's and other presentation slides here for a snapshot of sessions. **Save the date for the next Responsive Teaching Institute on January 17th! 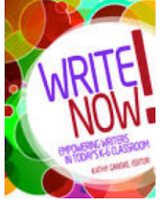 bullets #1- Interactive Writing Experiences, #2, daily time for children to write, and #3, instruction in writing processes and strategies. **Thank you to SOEL member Tracy Terris and Paddock staff for hosting! The Inquiry into Disciplinary Literacy and Learning (IDLL) network will meet at Creekside Intermediate on December 13th to examine the bridges from Grades 4& 5 Essentials and shifts into the draft 6-12 Disciplinary Literacy Essentials for which we are a pilot group for the state of Michigan. 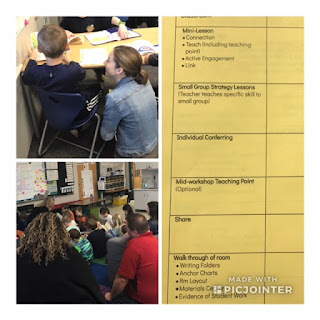 Our experience in a grades 5 & 6 building will help us understand the progression from literacy instruction in upper elementary into Disciplinary Literacy in the secondary grades. *Thanks to IDLL member Melanie Dever and Creekside staff for hosting! Did you know that several SOEL teachers are featured in videos on the LiteracyEssentials.org site? 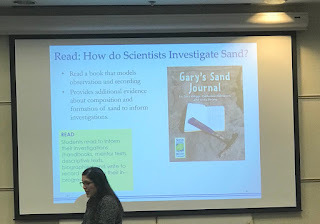 This is more evidence of authentic examples of the Essential Instructional Practices in Literacy Instruction in our county classrooms! 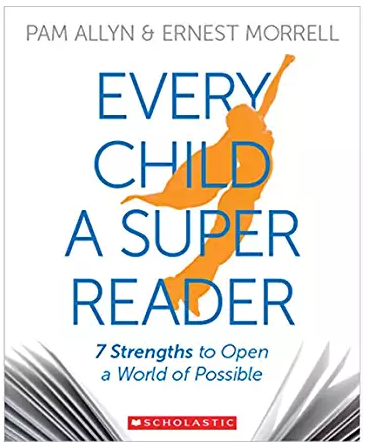 See Caroline Jacob in this video, modeling Essential #4, Bullet 5: Listening for sounds in words to estimate spelling. 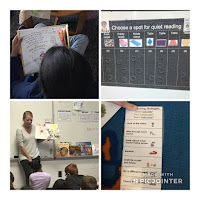 Picture Books and Read Alouds are for EVERYONE! 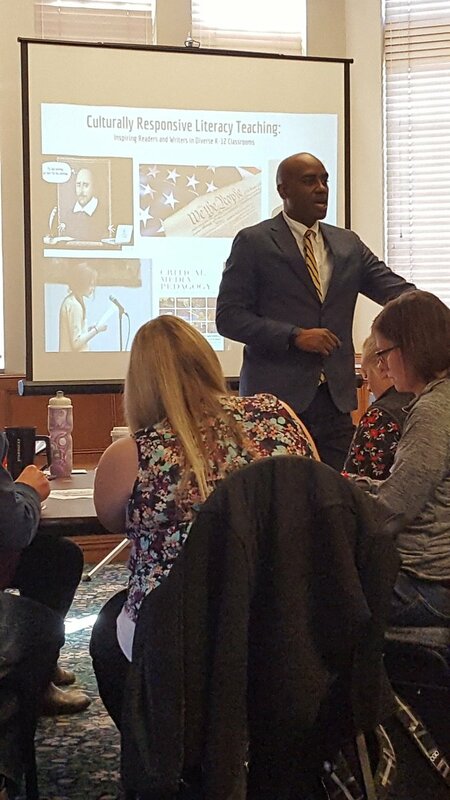 Dr. Ernest Morrell is the director for the Center for Literacy Education at the University of Notre Dame. 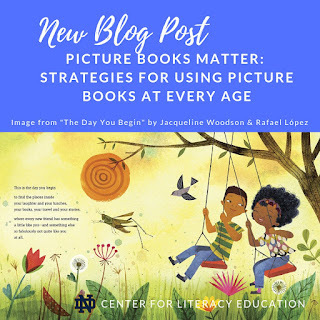 In a recent two part blog post, his team at the CLE detailed how to use picture books at every age- also referencing the Essentials! 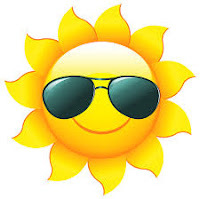 See Part 1 for early and upper elementary grades and Part 2 for middle and high school grades. 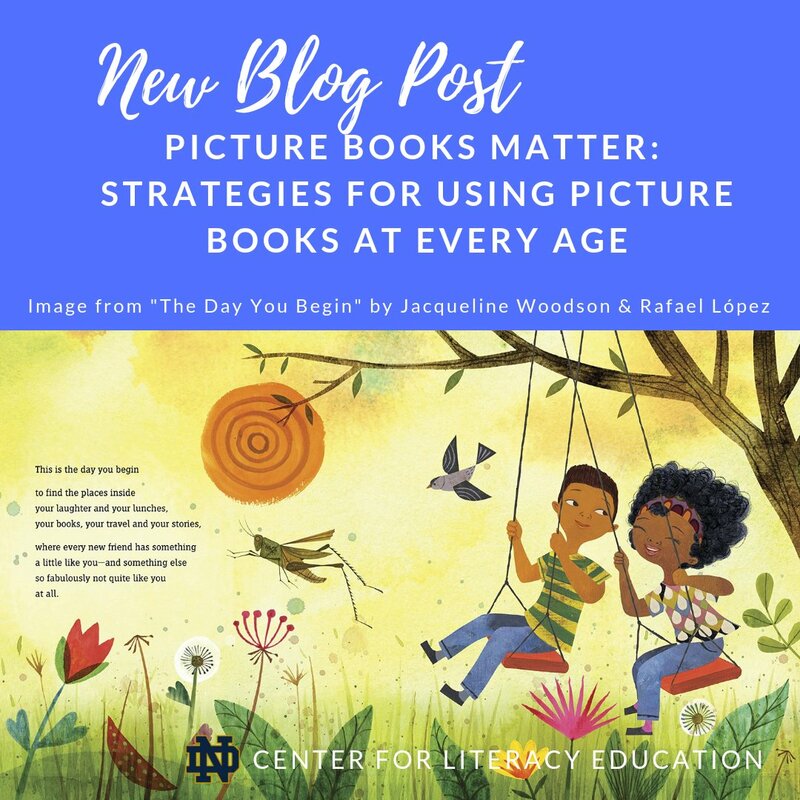 How do you use picture books and read alouds in your classroom? 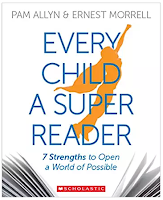 Whether it's for our own reading pleasure, professional learning, or a mix of both, we should all make time to read this summer! The purpose of the Essential Instructional Practices in Early Literacy document is to increase Michigan's capacity to improve children's literacy by identifying a small set of research supported literacy instructional practices that could be a focus of professional development throughout the state. 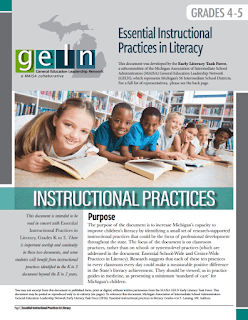 The focus of the document is on classroom practices, rather than on school- or systems-level practices. K-3 Educators- Join SOEL in Our SIXTH Year! 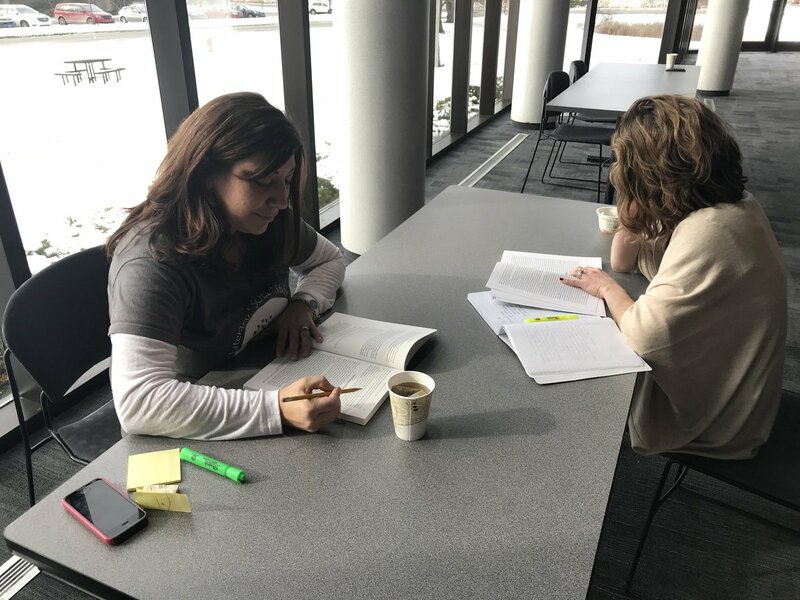 Because teachers are continual learners, dedicated to perfecting their craft, they participate in robust professional learning experiences, such as SOEL, as part of their career. Rooted in the Essential Instructional Practices in Early Literacy, SOEL began in an effort to prepare teachers to not only teach students to learn to read, but to read to learn from the start of their literacy journey (Reutzel, 2014). We know good teachers, effective teachers, matter much more than particular curriculum materials, pedagogical approaches, or programs. Through learning together with literacy experts, professional texts, and teacher action research, SOEL teachers are powerful teachers of literacy! Movement engages students in active learning! Movement and creative dance provide an opportunity to reach kinesthetic learners in a way that allows them to process and retain information efficiently. Join dance teaching artist Kimberli Boyd to explore warm-ups, creative movement learning activities, and simple structures for composing dances that involve students in active learning. 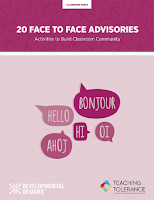 Whether your students are learning a new language, building a bolder vocabulary or discovering more dynamic descriptive word choices, movement provides an active approach to understanding nouns, verbs, adjectives, adverbs, simile, and metaphor. This interactive and participatory workshop will share strategies that integrate best practices in teaching with elements and principles of dance. The result is a simple yet highly effective approach to enhancing student engagement, critical thinking, collaboration, creativity, and much more. apply structures that use improvisation to create dances inspired by prom theme introduced in the workshop. the value of integrating movement and creative dance with poetry as a means of supporting student engagement, critical thinking, collaboration and creative expression. 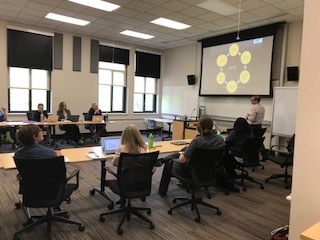 The Responsive Mathematics Institute continues this year, beginning with Dr. Vaughan Watson from Michigan State University. 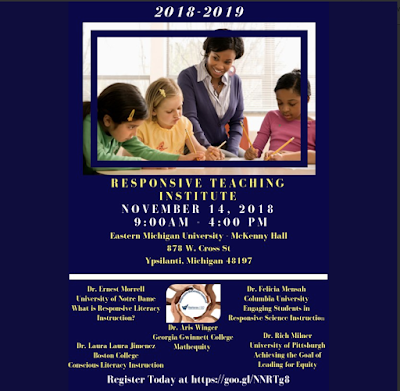 This professional development is an opportunity for teachers to learn how to use Youth Participatory Action Research as a means for incorporating social justice into the classroom. *Teachers are also invited to participate in the morning session from 9:00am - 12:00pm with Kimberli Boyd. The morning session will focus on Engaging Students through Arts Integration. Movement engages students in active learning! Movement and creative dance provide an opportunity to reach kinesthetic learners in a way that allows them to process and retain information efficiently. Join dance teaching artist Kimberli Boyd to explore warm-ups, creative movement learning activities, and simple structures for composing dances that involve students in active learning.